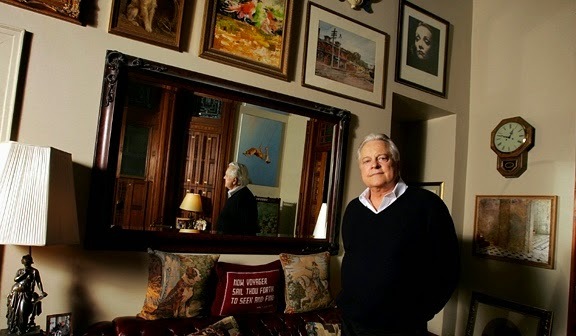 The New York Times has a really fantastic interview with Robert Osborne about his New York City apartment. (well, that should be plural- he apparently has three!) Make sure you click on the slide show feature, which includes a narrated tour and close-up photos of his treasured memorabilia. Oh, how wonderful! It's almost like a museum. But not so much that I wouldn't be comfortable living there. Hear me, Robert? HOW COOL! I've seriously always had this feeling to creep on Robby O's living quarters...and he has a little framed picture of little Audrey Hepburn! SO CUTE. Thanks for the link and all! Wow. His apartment looks so cool. It looks like I expected it to! 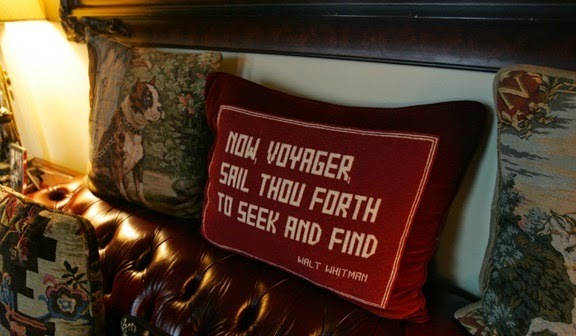 Dig that Now Voyager cushion! I'm pretty sure that if I could switch places with Robert Osborne I would be really happy. What a fantastic life and career. And he's such an interesting person. I'm not sure which artifact I was drooling over the most, but I think that the Sarah Siddon Society award has got to be a contender! 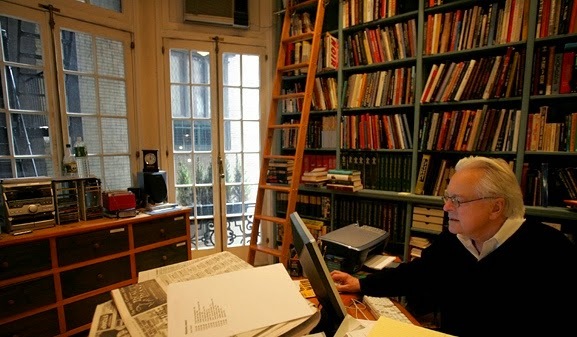 That Marlene Dietrich photo in the upper right corner would get to me, after a while. She always looked liked she was on to you. Even if you weren't up to anything that interesting. THANK YOU!!!!!!! Osborne is totes my hero! Thank you so much for sharing this Kate! This made my whole morning. I've always wanted to see Bobby's house! My favorite aspect was the gargantuan bookcases with the rolling ladder. Oh my goodness how I've wished I could have a ladder like that for my bookcases. I also love how the space looks lived in. He has papers thrown all over the place, just like me! 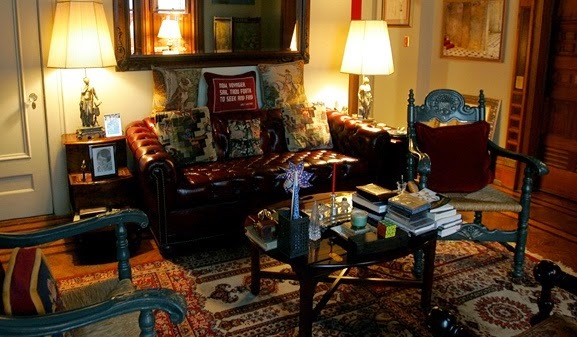 And how about that tufted leather couch? Looks like it came straight out of a 30's lawyer office! Kate, I think Osborne would simply love your work! What a fantastic apartment! It would be heavenly to live there.